If your school's Class Charts account is linked to your MIS, your staff list will automatically be added to Class Charts. This list is synced with your MIS, meaning that new members of staff will be automatically added and old ones will be removed. To manually add a new member of staff to Class Charts, click on the three lines menu in the top right hand corner of the page and select Teachers from the list of available options. You will be presented with a list of users that have previously been added to Class Charts. 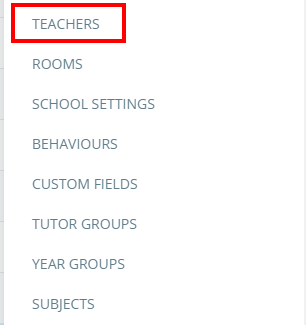 To manually add a new user, click on the Add new teacher button in the top right hand corner above the list. A popup up dialog will appear, asking you to enter details about the new teacher. Enter the details into the form shown below and click on the Save button. 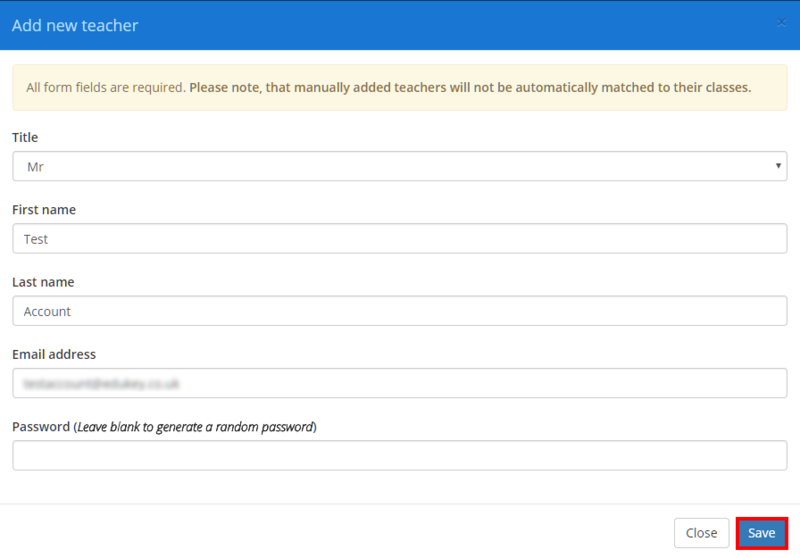 Please note: manually added teachers are not synced with changes in your MIS and will not be automatically matched to their classes in Class Charts. Instead, they will need to be manually assigned to their classes. The new staff member is added to the teachers list and a welcome email with their login details will be sent to the specified address.